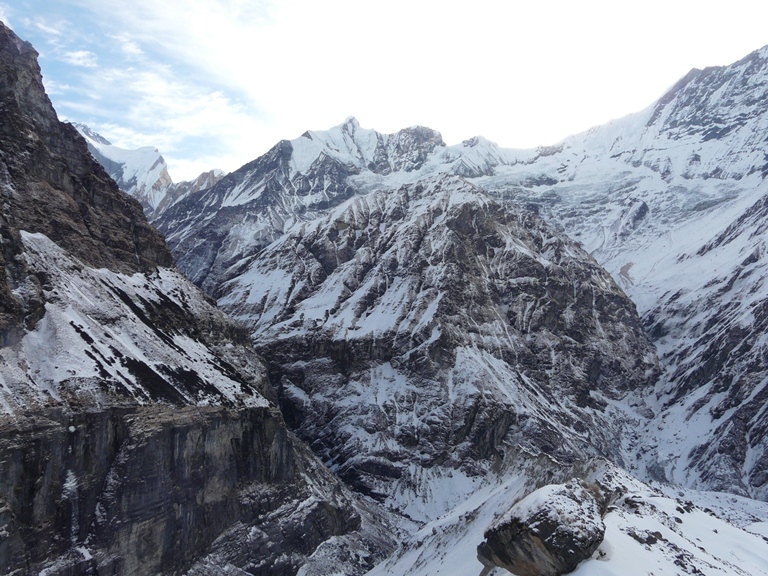 Some of the best trekking in the world is concentrated around the vast Anapurna massif in the high Himalayas. See the Nepalese way of life – albeit inevitably affected by a high traffic of foreigners. 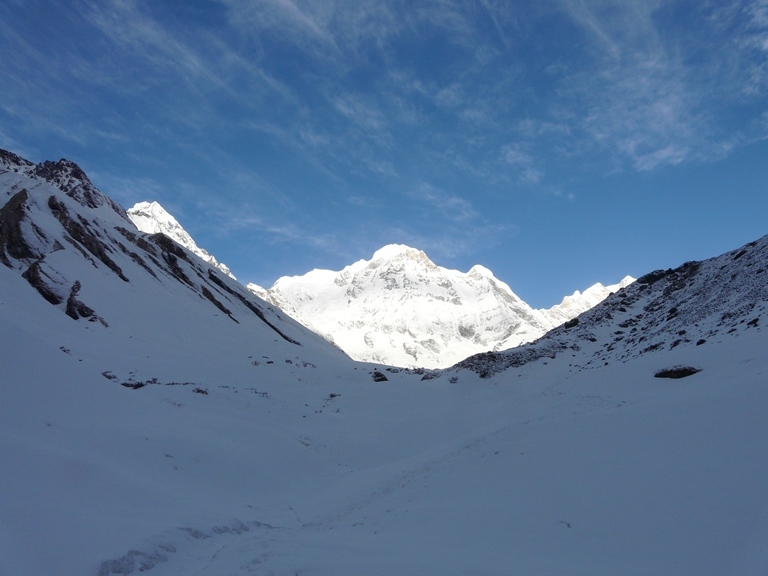 Trek round the massif in around 20 days on the marvellous Annapurna Circuit, of which the easier and shorter Muktinath/Jomsom Trek is the final third or so. 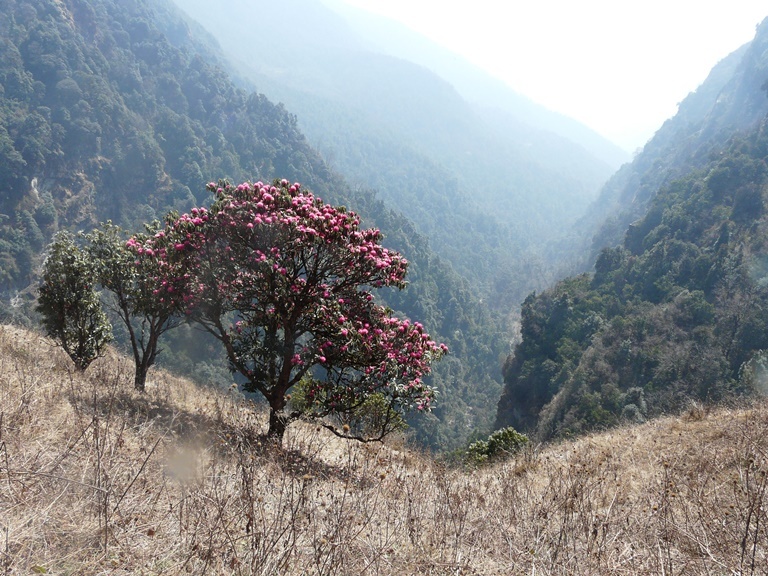 Or hike into the heart of the mountains for some of the world’s best views at the Annapurna Sanctuary (10 days or so). 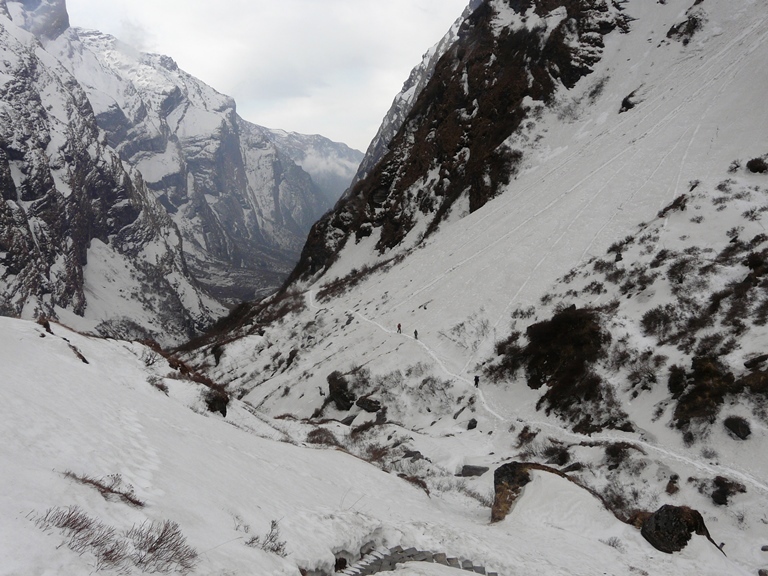 Or walk the gentler Annapurna Panorama trek in the (relative) foothills but with amazing views, in 6 days or so. 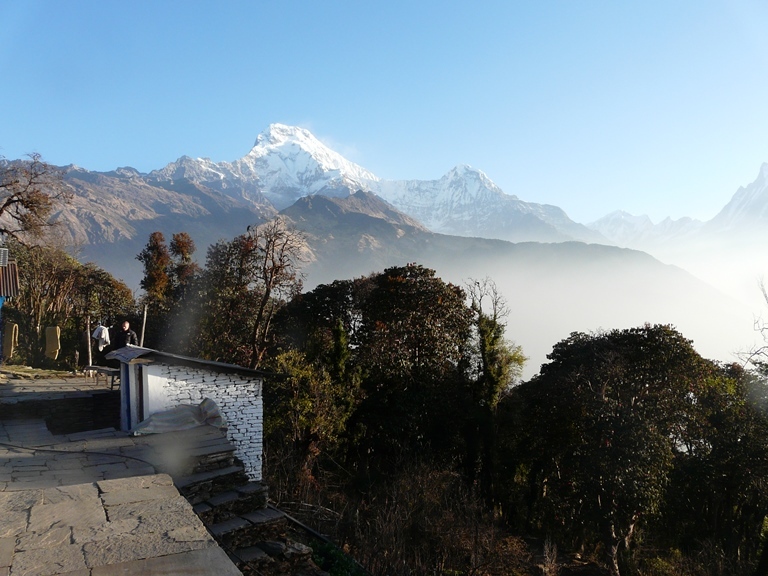 Or walk the easier Royal Trek, which follows a lower ridge with strong local culture and Annapurna views galore, usually in the mornings. To the north is Mustang, ethnic and physical Tibet: amazing desert – gorge scenery and unspoilt villages in this remote, remarkable region. Their fame has resulted in some of these walks being popular – even crowded in peak season, to the detriment of the environment and the integrity of the local cultures. You can “tea house trek” most these routes, greatly reducing the cost and the weight-carrying involved in these routes. These are tough walks in high mountains, on which you will have to be self-sufficient and where altitude can cause real problems. Come prepared.